clear, blemish-free skin that you've always wanted. You can rely on AcneMinus® fast-acting acne hydro cream to rapidly clear and calm your inflamed and blemished skin, while balancing your facial oil and unclogging blocked pores. It neutralizes and calms newly-formed breakouts before they worsen, while preventing the formation of new breakouts. Acne is the most common skin problem faced by many. Although it's common, accurate information about it can be scarce, and most of the treatments or remedies widely available in the market do not offer effective solution to get clearer skin. Acne typically begins with skin congestion or comedones which clog up the pores. When comedones become infected, it breaks out and cause acne, open pores and eventually unwanted scarrings. Acne occurs when pores in our skin gets clogged with dead skin cells. When the skin produces excessive amount of sebum or oil, the dead skin cells stick together and get trapped inside the pores. Inside the clogged pores, acne-causing bacteria have the perfect environment to multiply quickly. With loads of bacteria inside, the pores become red and swollen, creating acne. Squeezing and picking on acne lesion leads to tissue damage which results in permanent scarring. When inflamed, the skin's protection barrier is weakened and is more sensitive to allergens and irritants. • Open comedones (blackheads)- black bumps on skin surface. Closed comedones (whiteheads)- white-tipped pustules on the skin. • Visible on the surface, usually appear as tiny pink bumps. • Very visible on the surface of the skin. Appear red at the base with puss-filled tips. • Very visible as they appear as large, deep and painful bumps. These pus-filled bumps may result in permanent scarring and disfigurement. The most common reason for unsatisfying results is the inability to use product consistently and according to the instructed time period. Avoid heavy makeup and products that are not labeled as "oil-free" or "non-comedogenic". Finally!! I was introduced to Orique while I’m actually buying other stuff! I opt to this product was because of water based and has several special effect that other skincare doesn’t have. My congested skin improved! Breakouts can be absolutely frustrating, especially when you have an important date or an exciting night out planned. AcneMinus is the solution to all my skin problems. Whenever any zit pop up, I just dab it on twice a day and VOILA! Perfect skin! The best part is that it works the same for any part of my skin, my chest my back…. Anywhere really! With ACNEMINUS you get a highly effective spot treatment cream that is absolutely safe at the same time! It’s been ages since I heard of a product that actually works! Where is that ultimate spot cream that is safe, natural, and effective all at once? 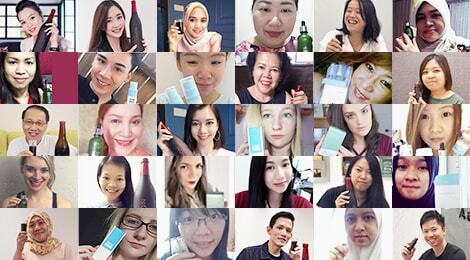 I only heard of product that doesn't contain all the harmful ingredients that most skin care lines do, but most of them doesn’t deliver satisfying results at the same time. With ACNEMINUS you get a highly effective spot treatment cream that is absolutely safe at the same time! So I don’t have to worry about any side effects on my delicate skin. My skin is now smooth, fair and glowing, no more ugly acne! I would like to share my happiness on the amazing result. 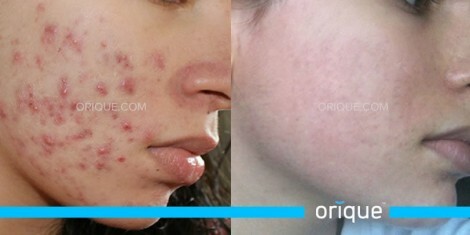 Orique skincare very super best skincare. 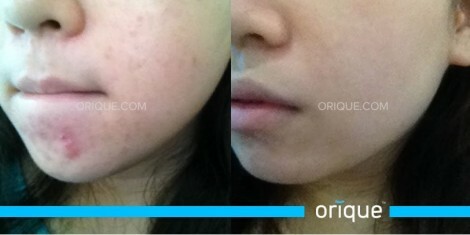 My skin now is smooth, fair and glowing, no more ugly acne! My friend and family all jealous and ask me what product I use! I started applying Acneminus, I saw gradually good results and improvement and stopped all make-up as I gained more confidence. My problem with acne started around 12 years old, before my puberty. For few years I started using ordinary products from supermarkets to treat and cover up. At the same time I was conscious of food to avoid. 15 to 17, I saw a few different skin specialist doctors as my skin condition got worse. Took few times antibiotics (over few months) and special external treatments from doctors. They all wanted to give me Roacutane drug. My mother refused because of long term side effects. My skin was still very oily and condition got worse, and I had to cover with powder to go to school. At 17, I took for few months birth control tablets to target on my hormones. I put up 3kg! At 18, I started applying Acneminus , I saw gradually good results and improvement and stopped all make-up as I gained more confidence. I washed less often my face (with only cold water) and scrub made it worse. Today after 6 months applying Acneminus , I feel much better and will use it with hope of complete healing of my skin as well as taking care of my general Health, doing sports, and eating a better diet and life style. My skin has managed to stay supple and the skin tone became lighter. I found out about Ag-Factor through my mum who is currently using UltraPeptide and consuming Ag-Factor as well. Results on her were amazing. Therefore, I asked her if there’s any product specifically made for acne skin. 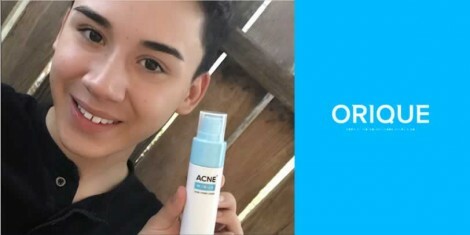 I’ve tried variety of acne products in the market specially for teenagers but has caused my skin to be extra dry and itchy. So I went through Ag-Factor’s website (the URL address shown on my mum’s bottle of Ag-Factor) I have decided to try Ag-Factor. My skin’s condition was dry, flaky, and filled with blackheads as well as huge acnes on my chin. Eventho there were slight breakouts due to detox by Ag-Factor, my skin has managed to stay supple and the skin tone became lighter. The detox process took about 2 months long. Then I add on Orique skincare range into my regime - consist of Cleanser , Toner , Xerominus , Comeminus and Acneminus . After 3 months, finally the detoxification stopped. 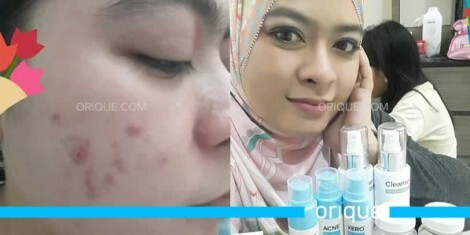 Notice the difference of my skin based on the image, has improved alot only left with some scars.Thank you for these amazing product Ag-Factor and Orique . After applying ComeMinus® and XeroMinus®, apply a thin layer of AcneMinus® directly on all affected areas. Use twice daily. Acne & pimples will dry up and gently peel away. May be used on chest and back areas as well.